In Collaboration with the School of Commerce at Addis Ababa University, Ethiopia, The Africa Academy of Management is organizing its 4th Biennial Conference in Addis Ababa from January 3 to January 6, 2018. Addis Ababa is one of the oldest cities in Africa and the seat of the African Union and the United Nations Economic Commission for Africa. Current reports on Africa indicate that the continent is one of the fastest growing regions of the world, second to East Asia. In fact, of the ten fastest growing economies in the world, six are located in Africa. To sustain the performance of African economies, it is important that African organizations, for-profit and non-profit, compete not only in Africa but also globally. For management research to be relevant and impactful, it must look at what really happens within African organizations, how African organizations achieve high performance and what makes a high-performing African organization. In accordance with the theme of the conference, Building High Performing Organizations in Africa, the Africa Academy of Management is looking forward to engaging conceptual and empirical papers, symposia, and professional development workshops on topics that that describe how to build effective and competitive organizations in Africa. Along with the intellectually invigorating discussions, we have plans for visits to local businesses and organizations, such as the headquarters of the Africa Union and the United Stations Economic Commission for Africa. Click on the button below to submit your paper. Please note that clicking on the "Submit your paper" button will open a separate window to a different website where you can follow the submission guidelines to complete the process. Please follow these guidelines and formatting instructions to prepare your paper. Please read the instructions with great care before making any submissions. 1. Each paper can only be submitted to ONE topic or track. 2. Submitted papers must NOT have been previously published and if under review, must NOT appear in print before AFAM 2018 Conference. 3. Paper submissions will be blind reviewed; thus, authors should remove all authors’ identifying information, including acknowledgements from the text, and document properties. 4. The paper (title page, abstract, main text, figures, tables, references, etc.) must be in one document created in a PDF format. 5. The maximum length of the paper is 40 pages (including tables, appendices and references). The paper format should follow the Academy of Management Journal’s style guide. 6. Use Times New Roman 12-pitch font, double spaced, and 1-inch (2.5 cm) margin all around. 8. No changes in the paper title, abstract, authorship, and actual paper can occur after the submission deadline. 9. Check that the PDF File of your paper prints correctly and ensure that the file is virus-free. 10. Submissions will be done on-line on the AFAM 2018 conference website, from 30 JANUARY till 30 JUNE, 2017. 11. Only submissions in English shall be accepted for review. 12. In case of acceptance, the author or one of the co-authors should be available to present the paper at the conference. 13. RULE OF 3: A participants may be listed as an author or co-author on up to 3 submitted papers. 14. The deadline is firm and no extensions will be granted. NOTE: Papers that do not follow these formatting instructions WILL NOT be sent for review. The entrepreneurship and SME track welcomes both empirical and conceptual papers examining issues relating to sustainability in both entrepreneurial and family and small business research in Africa. We are particularly interested in papers with unique contributions related to incubation, nascent entrepreneurship, microcredit, ownership succession, incubation, microenterprise promotion and training, transnational entrepreneurship, social entrepreneurship, and sustainable entrepreneurial innovations in Africa. This combined track welcomes conceptual and empirical papers including all aspects of both organizational behavior and human resources management, preferably in an African context. For organizational behavior, areas of interests include but are not limited to: organizational effectiveness, group dynamics, motivation, leadership, change, decision making, organizational culture, organizational design, organizational justice, stress management, personality and perception. For human resources management, we seek papers in the areas of: compensation, diversity, performance appraisal, recruitment, selection, staffing, training, labor relations, career development and management of human capital. We encourage papers from academics, researchers, and professionals that investigate public and non-governmental organizations. The papers may address topics related to any of the following: Public governance; capacity building; public service quality; public management in complex environments; E-government; workplace democracy and public administration; education and training; public accountability; social enterprise in challenging environments and times; Third Sector or non-governmental organizations; stakeholder engagement; social capital; public entrepreneurship; public sector reforms; partnerships with the private sector. Studies of other areas not included here but which relate to management of public organizations and NGO are also encouraged. The Strategy and International Management track welcomes conceptual and empirical papers that focus on all areas of strategy and international management in an African context both in the private and public sector; and a comparative analysis of the African context with other contexts of the world. For strategy, areas of interests include but are not limited to: business or competitive strategy formulation and implementation, strategic planning, strategy-structure relationships, strategic leadership, innovation, corporate strategy in general, diversification and portfolio strategies, vertical integration and sourcing relationships, social capital and networking relationships, corporate governance, the resource-based view, knowledge management, industrial organization economics, acquisitions, strategic alliances and inter-organizational relationships, technology and innovation management, composition and processes of top management teams, and strategic control and reward systems. Areas of interest for international management should focus on the theory, research, and practice of management with a cross-border or cross-cultural dimension. Topics should include but are not limited to: market entry strategy, cross-border alliances and cooperative strategies, the management of cross-border operations, effects of transnationalism on organizations, the differential impact of cultural, social, economic, technological, political, and other institutional forces on cross-border operations, management practices and strategies, the international competitiveness of firms, industries, and nations; and comparative management studies involving two or more countries. The Social Issues in management track is a new track added by the Africa Academy of Management to explore the extent to which management research can be used to address social issues, such as poverty, healthcare, armed conflict, conflict, sustainable development, and child labor. Management can play an important role in helping to address these issues. Social issues could also integrate the management of ‘unrealistic’ expectations from different social groups including unions, students and teachers. The Sustainability and Green Management track welcomes conceptual and empirical papers that focus on all areas of sustainability – economic, social, and environmental in an African context both in the private and public sector. Studies that compare the African context with other contexts of the world are also welcome. Given the comprehensiveness of sustainability across the business disciplines, studies from all areas of business – operations, marketing, international business, human resources management, organizational behavior, strategy, finance and accounting – that address how organizations affect and are affected by the sustainability tripod are welcome. Even though a contextual theories are welcome, we encourage contextual theories that project the contribution of African management. We also encourage methodological approaches that are Afrocentric to the extent that they apply to economic, social, and environmental sustainability. Entries can be either a proposal for a structured discussion on a topic of common interest, or for a workshop. Proposals should be aimed at helping fellow attendees by providing a forum through which they can engage each other. PDW sessions will not appear in the proceedings. Submissions should describe the activities, goals and time/equipment required and should be submitted to the PDW Chair. These consortia are designed to provide ideas, tools, and strategies to be successful by drawing upon the experiences of senior faculty colleagues. Research in the early stages of development will also be considered to assist members improve their works for publication. Sessions will be structured as roundtable discussions to facilitate additional development and coaching. This is an excellent way for doctoral students to become involved in AFAM. These sessions will not appear in the proceedings. Queries about the consortium should be sent to david.zoogah@africaacademyofmanagement.org. For application details, click here. Read the Guide to help you through the registration process. Full papers have been allocated 90 minute sessions and presenters should share the time and leave room for discussion. It is intended that presenters and the chair/discussant for each session will have read each other's papers in advance and should arrange to send the papers to each other. Full paper presentations will be made using a laptop and data projector. You will be asked to bring your presentation to the event on a memory stick, for use on the day, along with sufficient copies of a slide handout for your audience. The structure of the Professional Development Workshop (PDW) sessions will be as agreed upon by the Track and Conference Chairs for 90mins. PDW sessions are designed to be interactive. It is advisable that all PDW sessions should stick to the times allocated so that they do not run into scheduled sessions. Presenters can also submit Symposium Proposals. A symposium proposal should include an overview of the session and a summary of the presentations for each presenter. The proposal can also include a discussant. Symposium sessions will be 90 minutes. Poster presenters can begin setting up 30 minutes before the start of their scheduled posters session. Staff members will be available during set-up to provide authors with materials for mounting data and illustrations. All posters must remain on display for the duration of the poster session. Posters must be attended by the author/s for the first 40mins of the poster session, at minimum. Once your poster session concludes you can begin to remove your poster. Tear-down must be completed no later than 30 minutes after the poster session has ended. Posters left up after the tear-down period will be removed for disposal. AFAM is not responsible for any lost or damaged posters. You must provide an abstract of your paper and illustrations in a size and format suitable for poster display. It is also suggested that you prepare brief statements of the purpose of your work, your experimental methodology and design, and the major results of your findings and their implications. Abstracts and illustrations must be readable from distances of 3 ft. or more. Text should be printed from a laser printer, in a font size large enough to read from that distance. Keep illustrations simple. Limited use of color, however, can add emphasis. Any photograph should be a minimum of 8 in. x 10 in. Minimum size for all other illustrations is 9 in. x 12 in. The rooms allocated for Full Papers and Professional Development Workshops Presentations will have a laptop, data projector and screen available. Please note: delegates will need to bring their presentation on a USB data stick and arrive early to upload their presentation onto the laptop. This is to ensure presentations are uploaded successfully and to allow enough time for any technical difficulties that may arise. Delegates can also bring any materials they wish to distribute to other delegates during their presentation. AFAM suggests bringing 20 copies for distribution. Please see below the session timings allocated for every delegate’s presentation. All rooms, which have a laptop, data projector and screen available, will be installed with following packages from Microsoft Office: Word, Excel and PowerPoint. Delegates therefore must ensure the file type of the presentation is fully compatible with Microsoft Office. Please note: those that want to use Apple Macs and iPads will need to have their connecting cables as these would not be supplied by the conference. Further you will have to bring your own electrical adapters given that the voltage in Botswana is different. They will not be free printing, delegates will have to pay for printing. There will be complementary computers set up at media centre for internet access. Please be cautious of others and limit your time to 10mins or less to check your emails. Wi‐Fi available for purchase at the computer lab for $10 a day. Please ask registration for information if you would like to pursue this option. The Reviewer System is now open and accepting reviewers for the 4th Biennial Conference of the Africa Academy of Management. Please be constructive in your comments to the author/s by identifying areas of strengths and weaknesses in the manuscript, and providing constructive ideas for improvement and meeting the limitations you pointed out in your review. Areas to cover in your review include the theoretical development and the technical correctness of the methodology, and the overall value-added contribution and implications the submission provides to the discipline and the community. Please try to judge manuscripts based on how well they stimulate thinking and discussion, and be open to diverse theoretical and methodological orientations. As a reviewer, you will be required to complete your assigned reviews between May 31, 2017 and June 30, 2017, so please plan your time accordingly. Please feel free to contact us should you need any further help. New building of the School of Commerce (SoC) at Addis Ababa University (AAU). Click on the first photo to enlarge. Are you a doctoral student? Are you a junior faculty (just completed your PhD) who is just starting your academic career? If so, consider attending the Junior faculty/Doctoral Students consortium. We are planning an exciting session that covers a variety of topics relevant for the African context. We are currently taking applications for the 2018 Africa Academy of Management (AFAM) Doctoral Consortium to be held at the AFAM annual meeting in Addis Ababa, Ethiopia on January 3th. This workshop is geared toward Junior faculty/ doctoral students with the intent of helping participants to navigate the collection of issues (career, research, teaching, practice) that begin to emerge in the Junior faculty and doctoral student stages. At these stages, it is important for students and faculty to begin to reflect on research that shows the contribution of Africa to the global management community. The theme of the Consortium is Developing High Performing Scholarship. So, the discussion and sessions will be oriented toward guiding participants to consider conceptual and empirical work that enriches the global management field by addressing interesting questions from the African context. There is no charge for the Consortium. However, interested participants must be selected by the Chair of the Consortium. A session by Editors of the Academy of Management Journal. A research feedback session with leading scholars. An informal after-session social on January 3th. David B. Zoogah (PhD. Ohio State University) is Associate Professor of Management at the Williams College of Business, Xavier University, Cincinnati, Ohio, USA. His current research focuses on strategic followership, corporate environmental sustainability, and Africa-centered management. His work has appeared in Academy of Management Perspectives, Journal of Applied Psychology, Human Resources Management, Asia Pacific Journal of Management, International Journal of Cross-Cultural Management, Journal of Occupational and Industrial Psychology, International Journal of Human Resources Management, and Africa Journal of African Management (AJOM). He is currently the Secretary of the Africa Academy of Management. In addition to book chapters on Africa-centered Management he has authored Strategic Followership: How Employees Contribute to Organizational Productivity, edited a book on Advancing Research Methodology in the African Context: Techniques, Methods, and Designs (Volume 10 of Research Methodology in Strategy and Management Series), and co-authored a textbook, Managing Organizational Behavior in the African Context. He is a co-winner of the strategic doing award of the Academy of Management in 2012, and the Outstanding Author Contribution (2015) of Emerald’s Literati Network Awards for Excellence. He has also won the Best Paper from the Gender, Diversity and Organization (GDO), and Outstanding Reviewer for the OB Division of the Academy of Management. Jason D. Shaw is Chair Professor of Management, Head of Department of Management and Marketing, and Director of the Centre for Leadership and Innovation at The Hong Kong Polytechnic University. His research has appeared in Academy of Management Journal, Academy of Management Review, Journal of Applied Psychology, Strategic Management Journal, Organization Science, Organizational Behavior and Human Decision Processes, Personnel Psychology, Annual Review of Organizational Psychology and Organizational Behavior, and Journal of Management, among other scientific outlets. He served as Associate Editor of the Academy of Management Journal from 2010 to 2013. He has served or is serving on the editorial boards of Academy of Management Journal, Academy of Management Review, Journal of Applied Psychology, Personnel Psychology, Journal of Management, Organizational Psychology Review, Journal of Organizational Behavior, Journal of Vocational Behavior, Human Resource Management Review, Human Resource Management Journal, and other outlets. He previously served in elected leadership positions on the Executive Committee of the Academy of Management and the Board of Governors of the Southern Management Association. Prior to his appointment at PolyU, he was the Curtis L. Carlson School-wide Professor at the University of Minnesota, served on the faculties of the University of Kentucky and Drexel University, and worked as an analyst for the Boeing Company. Jason's email is jason.shaw@polyu.edu.hk. Pratima (Tima) Bansal is a Professor in Strategic Management at the Richard Ivey School of Business at the University of Western Ontario (Canada). She earned her doctorate from the University of Oxford. Her primary research interests lie at the intersection of business sustainability, business strategy and organizational theory, which she investigate using both qualitative and quantitative methods. Her work has been published in Academy of Management Journal, Organization Science, Strategic Management Journal, Journal of Management Studies, Organization Studies, among others. She served as an Associate Editor of Academy of Management Journal from 2010-2013 and has sat on 8 other editorial boards in the past, including Academy of Management Review and Strategic Management Journal. She is the Director of Ivey's Centre for Building Sustainable Value and the Executive Director of the Network for Business Sustainability, both of which aim to strengthen the ties between research and practice. One of her favorite pastimes is dueling with her mathematician husband over the value of social science. Any residual energy is spent cycling (road) and gardening (dirt). Tima's email address is tbansal@ivey.uwo.ca. Marc Gruber is full professor at the Ecole Polytechnique Fédérale de Lausanne (EPFL), where he holds the Chair of Entrepreneurship & Technology Commercialization. He earned his Ph.D. from the University of St. Gallen and received a venia legendi from the Munich School of Management, University of Munich, for his habilitation thesis. His research focuses on entrepreneurship and innovation, and includes studies on opportunity identification, founder identity, venture capital decision making, knowledge recombination, resource configurations and the commercialization of technological innovations. He has published his research in the Academy of Management Journal, Management Science, Organization Science, Journal of Business Venturing, Entrepreneurship Theory and Practice, Journal of Management, and Strategic Management Journal, among others. His studies were recognized with several awards, incl. the "Thought Leader Award" of the Entrepreneurship Division at the Academy of Management in the years 2009, 2010 and 2012. Marc's email address is marc.gruber@epfl.ch. Bruce T. Lamont (Ph.D. University of North Carolina) is the Thomas L. Williams Eminent Scholar of Strategy in the College of Business at Florida State University. His research has been published in such outlets as the Academy of Management Journal, Academy of Management Review, Journal of International Business Studies, Journal of Management, and Strategic Management Journal. He currently serves on the editorial review boards for the Journal of Management Studies and Strategic Management Journal and as Senior Associate Editor of the Africa Journal of Management. He has also served on the editorial review boards of the Academy of Management Journal and the Journal of Management, the Executive and Research Committees of the Business Policy and Strategy Division of the Academy of Management, as a Representative-At-Large for both the Strategy Process Interest Group and the Corporate Strategy Interest Group of the Strategic Management Society, and the Board of Governors of the Southern Management Association. Professor Lamont has also been elected as a Fellow of the Southern Management Association. His current research addresses the effective management of acquisition integration processes, knowledge investments, entrepreneurship, and novel applications and extensions of theory to the African context. Margaret A. White, Ph.D. is The Fleming Cos. Professor of Technology Management at Oklahoma State University. She has a Ph.D. with a major in management and a minor in industrial engineering from Texas A&M University. Her M.B.A. and B.S. in mathematics are from Sam Houston State University. 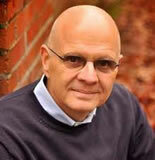 Professor White is the author/coauthor of over 80 articles and papers. Her research has appeared in journals such as Strategic Management Journal, Academy of Management Journal, Academy of Management Review, Entrepreneurship: Theory and Practice, and Organizational Studies. The third edition of The Management of Technology and Innovation: A Strategic Process Approach with co-author, Garry D. Bruton was published in 2016. Dr. White has won several research and teaching awards including two Academy of Management Best Paper Awards and Best Paper from the Southern Management Association and is Past Chair of the Research Methods Community of the Strategic Management Society. The teaching awards include the Greiner Graduate Teaching Award and OSU-Tulsa outstanding faculty award (twice) among others. Before becoming an academic, Dr. White was a statistical analyzer for a major oil company, owned a catering business, was a housing administrator, and a collegiate softball coach. During her tenure at OSU, she served 4 years as Associate Dean of Undergraduate programs. Currently, she serves on several boards/committees of several nonprofit organizations. In addition, she is a member of the Agency Board for the Community Food Bank of Eastern Oklahoma and a regular server/cook at St. Paul’s UMC soup kitchen, Manna Meals. Hermann Ndofor is currently an Assistant Professor at the Kelley School of Business, Indiana University in Indianapolis. He received a Ph.D. degree in management from the University of Wisconsin- Milwaukee in 2004. Prior to joining the Kelley School of Business in 2015, he was an Assistant Professor at the Mays Business School, Texas A&M. His research interests include competitive dynamics, resource management, Top Management Teams, and entrepreneurship, with specific interest in Africa. His research has been published in a range of journals including the Strategic Management Journal, Journal of Management, IEEE Transactions on Engineering Management, Business Ethics Quarterly and Leadership Quarterly. He currently serves as Associate Editor of Africa Journal of Management and is on the editorial review boards of Strategic Management Journal and Management and Organization Review. 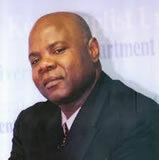 Sam Aryee is a Professor of Organizational Behaviour and Human Resource Management. in the Surrey Business School, University of Surrey, UK. He earned his PhD and MA from McMaster University and BA (Hons) from University of Ghana, Legon. Prior to his present position, Sam held faculty positions in East Asia at the National University of Singapore and Hong Kong Baptist University and in the UK, at Aston University and King's College London. Sam served as Director of the Doctoral Programme at both Aston Business School and KCL's School of Management and Business. He is currently Director of the Doctoral Programme at SBS. Sam's areas of research interest include Strategic Human Resource Management, Services Management, Organizational Justice, Workplace Trust, Work-Family Interface, and Workplace Safety. He conducts research in these areas in cross-cultural contexts. Sam's research findings have been published in such journals as Academy of Management Journal, Journal of Applied Psychology, Journal of Management, Journal of Management Studies, Organization Behavior and Human Decision Processes, Human Relations, and Journal of Organizational Behavior, among others. Sam was for several years Associate Editor of Journal of Occupational and Organizational Psychology (JOOP) and Human Relations, and served/serves on the editorial boards of Academy of Management Journal, Journal of Applied Psychology, Human Relations, Journal of Management Studies, Journal of Occupational and Organizational Psychology, and Management and Organization Review. Benson Honig (Ph.D. Stanford University) is the Teresa Cascioli Chair in Entrepreneurial Leadership, DeGroote School of Business, McMaster University. Studying entrepreneurship worldwide, his research interests include organizational theory, nascent entrepreneurship, transnational entrepreneurship and environments of transition, social entrepreneurship, social capital, professional ethics and business planning. He has published over 80 articles in leading academic journals and the media, and serves on six editorial boards, including the Journal of Business Venturing, Academy of Management Learning and Education, Academy of Management Perspectives and the Journal of Management Studies. He is a past president of the Canadian Counsel of Small Business, is on the board of the Africa Academy of Management, and is a past editor of Entrepreneurship Theory and Practice. He is the 2009 winner of the Grief prize from the University of Southern California for the most cited entrepreneurship article in the previous five years, and of the most cited Journal of Business Venturing article in 2009. His work can be found in the Journal of Management, Organization Studies, Journal of Business Venturing, Academy of Management, Learning and Education, Entrepreneurship Theory and Practice, Journal of Management Studies, Journal of Business Venturing, and the Journal of World Business, among others. Augustine A. Lado (Ph.D. University of Memphis) is Professor and the Richard ’55 and Joy Dorf Chair in Innovation and Entrepreneurship at Clarkson University School of Business. His scholarship in strategic management spans multiple boundaries of academic disciplines, including economics, organizational behavior and human resource management, entrepreneurship, and philosophy. It is also international in scope, integrating competitive and cooperative global strategies that firms use to gain and sustain strategic advantage. His current research interests include investigating the role of business and social enterprises in creating shared value at the base of the economic pyramid in emerging and developing -- including African -- economies. His published scholarship, which advances the resource/competency based perspective of strategic management, appears in the Academy of Management Review, Strategic Management Journal, Journal of Operations Management, and Journal of Management, among others. He teaches courses in strategic management, business ethics and entrepreneurship at the undergraduate and graduate levels. Jim Walsh (Ph.D, Northwestern University) is an Arthur F. Thurnau Professor and the Gerald and Esther Carey Professor of Business Administration at the University of Michigan’s Ross School of Business. His research explores the purpose, accountability, control and success of the firm, and even more generally, business itself, in society. Considering these issues with his students, he does his best to prepare them to lead in and for society. A founding co-editor of the Academy of Management Annals, a Senior Editor and Associate Editor-in-Chief for Organization Science, a Consulting Editor for the Academy of Management Review, and an Associate Editor for the Strategic Management Journal, Jim is currently a Consulting Editor for the Journal of Business Ethics. A recipient of the Academy of Management’s Career Distinguished Service Award, he has served both as the Dean of its Fellows Group and as its 65th president. The Academy of Management is comprised of nearly 20,000 management scholars from well over 100 countries. Jenny Hoobler (Ph.D, University of Kentucky, USA) is Acting Head of Department and Doctoral Programmes Manager in the Department of Human Resource Management, Faculty of Economic and Management Sciences, University of Pretoria. Broadly, her research interests lie in gender and diversity in the workplace; leadership; and intersections between work and family. 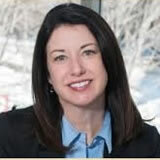 She currently serves on the editorial boards of the Academy of Management Journal and Journal of Applied Psychology. In the past five years she has published 15 journal articles and received substantial competitive grant funding. Her 2010 paper on the family−work conflict bias for career women, published in the Academy of Management Journal, was a finalist for the prestigious Rosabeth Moss Kanter award for Best Published Research on Work and Family in 2010, across all nations. Prof Hoobler was recently appointed to the Brain Trust group of academics at Catalyst, the leading think-tank for research on women and work, based in the United States. She is a South African National Research Foundation B-rated researcher. To apply for either Session of the Consortium, please email the following materials to Prof. David Zoogah no later than October 1, 2017 at Zoogahd@xavier.edu . Clearly indicate the session you are applying to attend in the subject heading as follows: Junior Faculty: Application for AFAM 2018 Junior Faculty Consortium. Doctoral Students: Application for AFAM 2018 Doctoral Student Consortium. 2). A current student CV (up to two pages) including at least contact information, education, research/teaching interests, and publications. This will be distributed to all participants of the consortium. d). a general appraisal of the nominee; and area of research (and teaching) interest. d) a general appraisal of the nominee; and area of research (and teaching) interest. e) an assessment of the nominee's progress toward his/her dissertation, expected defense date, and dissertation subject. Capital hotel and Spa is a 5-star hotel located at the heart of Addis Ababa. The hotel is strategically located at the center of the vibrant capital city and is accessible to all conventional centers like African Union, ECA, Millennium Hall and Exhibition Center – all within a 2-5 km drive. Other major historical attractions in the city are within the hotel’s proximity. Business centre opened 16 hours a day, 7 days a week. Please select "Group Attendee" on the first box and then enter "AFAM2018" (no space) on the second box to get the group rate. Alternatively, you can directly email Ms. Meron Afework (mafework@capitalhotelandspa.com). Getfam Hotel is a 5-star hotel located 3 KM or about 5 minutes drive from Bole international airport. It is only 2.5 km far from UNECA. Our hotel property have health centre facilities which include Steam, Sauna, Gym, Jacuzzi and Swimming pool. We also have varieties of bars and restaurants for our guests to enjoy.